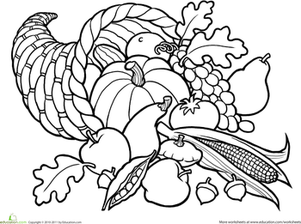 This pumpkin pie coloring page features the deliciousness of the iconic fall dessert. Take a stance on the pumpkin pie versus pecan pie debate with this pumpkin pie coloring page. Pumpkin pie proponants can colour in the autumnal pie's burnished orange hues, the flakey golden-brown crust, and the ivory whipped cream. 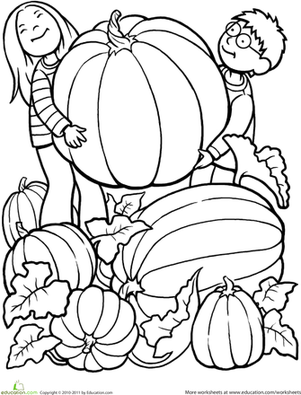 This pumpkin pie coloring page is a great post-Thanksgiving dinner activity, and it goes great with a slice of pie! Get into the holiday spirit and have your little artist add some colour to this fun picture of a delicious cherry pie! Colour in this pumpkin surrounded by traditional fall foods. This might not be as big as the world's largest pumpkin (1,810 pounds! ), but it's a start. These pumpkin patch shapes are a fun way to practise an essential year one skill! Going to the pumpkin patch is one of the best parts of the autumn season!